Near endless forum threads and email discussions surround the best used expedition vehicle choice, so we compiled a complete and complex group of options and then debated, tweaked and lined them up in order. This is not the ‘safe’ list of just Toyotas and Land Rovers, but a list that reflects vehicles available to purchase in the USA and then driven around the world. It is a list of vehicles that are actually being used to drive in the remote places of the world. This is not a list of ‘rock crawlers’, but a list of serious exploration options for adventure travel. I apologize in advance if your favorite truck didn’t make the list. In the end, you should drive what you really love and who cares what some guy like me thinks, but if you are currently looking for a used vehicle to head down to Nicaragua in, then this is a good place to start. 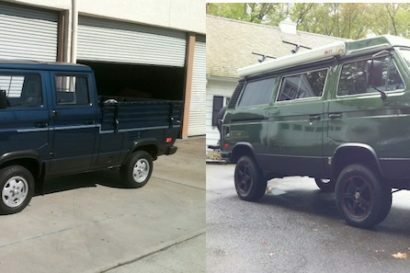 What makes a great used overland vehicle? The ability of the vehicle to traverse rocky, muddy, crossed axle terrain including deep-water crossings, severe side slopes, hill climbs and descents. This is of course only important if you intend to leave improved roads on your travels. The ability to carry weight in the vehicle. This is measured by payload statistics. Capacity, or payload, must be one of the first considerations given to vehicle selection, as little can be done to safely improve its rating after purchase. The ability of the vehicle to travel rugged terrain, fully loaded without chassis or drivetrain failure with years of continual use. The ability of a vehicle to perform over long distances and after years of service in rugged terrain without engine, electrical and support system failure due to component malfunction. Valuation of vehicle cost to content. Vehicles with high functional content and minimal “luxury” content will score the highest value ratings. Why did I choose these vehicles? The one reality of this list is that nearly everyone who reads it will disagree with me. That is fair enough and certainly understandable as we all have our own bias, expectations, needs and taste. What I can say is that I have driven and tested all of these trucks and have actually owned most of them. Many of the vehicles on the list I have driven on multiple continents and in a vast array of conditions. I also picked these vehicles based on only 2-3 people in the vehicle, a modest equipment expectation and with a maximum used value of $30,000. If you want loads of space or camper amenities then these are not the vehicles for you – that will be a different list. I am also not going to focus on vehicles before 1990 – despite my love for my old 1977 FJ40. Newer vehicles are just better – in nearly every way and I suspect most will agree. 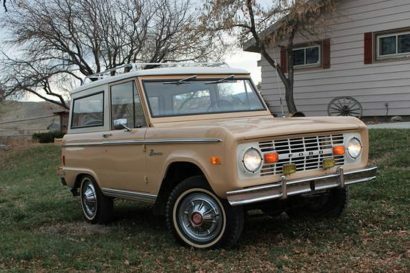 There are awesome older vehicles (think 1985 4Runner), but it is not the goal of this list. You will also notice that Toyotas dominate the top half of the list – well, that is because Toyotas do make the best used vehicle choice on the market; my apologies in advance to the Ford Explorer owners…. So it is good to disagree, in fact, I would love to see the list you would put together in the comments below. For each vehicle, I have listed my field experience with the selection to provide context on my decision/evaluation points. I can hear the screaming and gnashing of teeth from the FZJ80 owners (I am one), but the reality is – the 100 series is just better for vehicle-based adventure travel. It has a much better motor with 100% better performance and can even manage 1-2 mpg better fuel economy. The 4.7L doesn’t eat head gaskets or PHHs and runs ice cold (no AC shutoff in the Mojave). Sure it doesn’t have a solid axle, which limits the most extreme terrain applications, but the 80 isn’t really that good at extreme terrain anyways. The 100 series also has excellent brakes that don’t fade after a few minutes on a twisty road. The interior is refined, comfortable and quiet. Overall fit and finish is class leading, as is interior materials and durability. On the road, the 100 series will cruise comfortably at 85 mph all day long and then shift into low-range and tackle the most challenging terrain with just a few modifications. If you install an OME HD suspension, new shocks and 295/75 R16 BFG ATs, you will go just about anywhere you want to go in fantastic comfort. These trucks have also proven to be one of the most reliable vehicles ever imported to the US and it is not uncommon to find examples with 300,000 miles that are still rattle and leak free – impressive. Summary: Every other continent figured out this was the best Land Cruiser ever made a few years ago – ok, we agree. 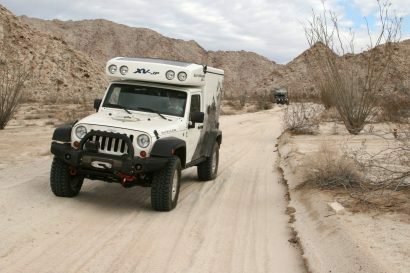 Editor’s Field Experience: Long-term testing and numerous field adventures with UZJ100 vehicles, Overland Journal contributing editor Andrew Moore owns the model and it has become an Expedition Portal project vehicle. Both the Gen 1.5 and Gen 2 Tacomas are excellent vehicles and nearly match the mythical Hilux in all areas but payload and diesel power plant. These trucks are simple and effective, rewarding the adventure traveler with excellent value, reliability and good on-road comfort. They can be overloaded, overdriven, abused, rattled and frozen without protest. My 2004 Tacoma traveled from the Arctic Ocean and -57F to the Darien Gap in Panama and everything in between. I even used it to pre-run the Baja 500 one year and never had a single warranty claim. Downsides are limited but notable. Stock suspension is horrible and completely mismatched to the vehicle. Front is too soft and under-dampened and the rear has kidney dislodging axle wrap and hop. Factor an Icon or Old Man Emu suspension into your budget, as the modification is not an option. The first generation Tacomas also suffered from poor interior material quality and flat, unsupportive seats. The generation two trucks are marginally better in both accounts. These trucks are the real deal. A few small modifications and you can drive one around the world – a few times. Summary: Good enough for hauling 15 Taliban across Afghanistan, so just right for us. Editor’s Field Experience: Owner 2004 Tacoma driven from the frozen Arctic Ocean, across the Rubicon trail and then all the way to the Darien Gap. Long-term tests with 2005 ARB Tacoma, 2010 Tacoma Crew Cab, 2011 Tacoma TXPRo. The Toyota Land Cruiser 80 Series is a serious exploration tool with solid front axle, robust frame, good factory ground clearance, class-leading payload and excellent technical terrain performance. The challenge that the 80 series has now in the used market is the vehicle is just plain old. Even a 1997 is over 15 years old and most have very high mileage. I own a 1997 Heritage Edition with factory lockers and all the must have features, but these trucks in good condition and with low mileage are extremely difficult to find, and when you do, the cost is extreme (for the year). Look for 80s with lower mileage and check the knuckle-wipers on the front axle, oil in the coolant, overheating, condition of PHH (pesky heater hose), etc. Land Cruisers are incredibly reliable so they are often completely neglected. If you can find a low mileage, clean truck and take it to Slee OffRoad for a 4.7L engine swap and complete freshening, you will have one of the finest expedition vehicles possibly built in the US – but it is going to cost you. The FZJ80 is the ultimate overland vehicle ever imported to the US, but is in the 4th position due to age and difficulty finding clean, low-mileage examples. Nothing stays perfect forever. . .
Summary: Hard to find a clean one anymore, but worth the search. Editor’s Field Experience: Expedition Portal currently owns a 1997 FZJ80 Land Cruiser which we have driven the length of Baja and the length of Central America. The vehicle is currently in Panama awaiting transport to Colombia for further adventure. The G-Wagen is a rare breed, and for those who have driven them, they rarely will drive anything else. Yes, they are that good, but their obscurity is also their only downfall, as parts can be difficult or impossible to find while traveling (requiring long wait times for delivery to a Mercedes dealership) and they can be somewhat temperamental. The G500 comes from the factory with everything we want in an overland vehicle, including excellent payload, locking differentials, solid axles, simple exterior lines and even a rain gutter. I own a 463 G-Wagen and love the car. Just know going in that these vehicles are not even on the ‘value’ scale, are expensive to purchase and expensive to maintain, service and repair. Fuel economy is often in the single digits. However, they are one of the best and rarest of breeds. (Note: Lightly armored is a joke, but armored versions are available from Graz. However, they are extremely robust and designed as military vehicles). Summary: Wonderfully obscure and capable, the eclectic overlander. The Gen Four 4Runner is a highly effective, if somewhat uninspiring vehicle. Slightly smaller than the 100 series and still available with the impressively reliable 4.7L V8, the 4Runner is a near perfect wagon. The vehicle also does not require much modification, especially if kept somewhat light. Install some LT265/75 R16 AT tires, some better lashing points and then head south. With synthetic oil you won’t even need to do a service before hitting Ushuaia. The reason for the lower rating is the unimpressive payload and general softness. That can be a moot point depending on how much stuff you are bringing to Argentina. Summary: Throw in a few bags and head south. Just let the flaming commence now, but I am going on record that the LR3 is the best used Land Rover option in North America – period. Yep, better than my much loved 1995 Discovery, better than a 2004 Discovery II, better than a 1995 Range Rover Classic. I have owned and driven every possible configuration of Land Rover and have near endless love for the brand, but these new generation trucks are shockingly good. And not only are they capable, they are even (dare I say it) pretty reliable. I was talking with Land Rover Las Vegas about these cars and they told me that warranty claims are down 60% from the Discovery II – sixty percent! I will admit my dislike of these vehicles early on – no solid axles, hybrid frame/unibody construction, more electronics and complexity, etc. However, reality has been a bitter pill for me, and I am changing my tune. The LR3 is a serious contender, but it is still not up to Toyota (or even Mercedes) reliability, so go in with eyes wide open. The South Africans are loving these cars with the TDI V6, as are the Australians. With coil spring conversions now available and a notable worldwide dealer network, I look forward to seeing more of these taking the path less traveled. Summary: Shocker of the century. The LR3 is the best used Land Rover option available. Editor’s Field Experience: Numerous tests and field work with the LR3, including Land Rover being a trainer on the platform for various LR dealerships. Long-term test of the LR4 in 2011. Suzuki makes awesome little 4wd vehicles. They are the ultimate stealth, economical and reliable little adventure wagons. I have driven a Suzuki Jimny (think Samurai) through 23 countries and for 17,800 kms across Europe, Central Asia and Asia, ending with crossing northern Mongolia, the hard way. Not a single mechanical failure, not even a flat tire. These vehicles are global platforms and will give mid to high 20s on MPG. They are also extremely tough and durable and will go most places you wish to visit with just an Old Man Emu suspension, rear limited slip or locking differential and one size larger LT all-terrain tires. Feel the Suzuki love! Summary: If you can leave your vanity at the door, this little machine will take you around the world. Editor’s Field Experience: Numerous test of Suzuki Grand Vitara, including a recent test in Iceland. Editor drove a Suzuki Jimny through 23 countries, nearly half-way around the world. The XTerra is a simple, purpose-built 4wd with a traditional ladder frame construction, good ground clearance, available locking differential and good reliability. I genuinely respect this vehicle and find its understated charm and specifications to make it a serious choice for adventure travel. While unrefined, the vehicle is still comfortable to drive and it’s a good performer in the dirt. The wheelbase is short enough to be nimble, yet long enough to provide stability and enough cargo space. Approach and departure are good and you can fit an LT265/75 R16 stock. The Xterra also represents a genuine bargain for this list. Ticks all the right boxes with a real frame, locking differential, etc. Summary: The best overall value on the list, but make sure you don’t leave the country without a DHL account and the number to your Nissan dealership. (Note: Not because the Xterra is unreliable, but because international parts support is limited so you will need to ship in replacements from the US). 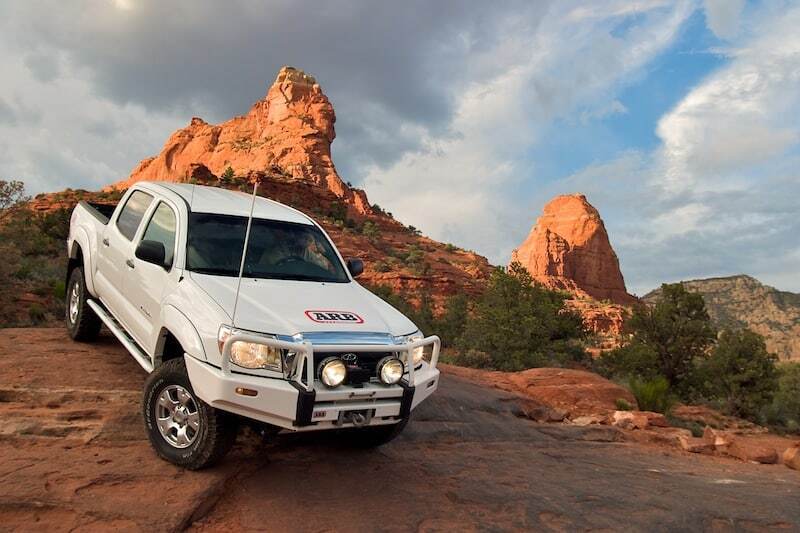 Editor’s Field Experience: Xterra is currently in the test and support fleet and driven by our Director of Photography. Why a car on this list? Well, you will find a Mercedes Sedan on practically any road in any country of the world. Chris Scott has driven a Merc Saloon across big chunks of northern Africa too. The 4wd system is designed and built by Steyr in Graz, Austria (where the G-Wagen is made). Mercedes sedans are tough and plentiful and are the choice of local business owners, thugs and politicians (often the same person) in every city I have visited. You will travel well under the radar and in style. Parts and mechanical support will be easy to find. Unfortunately, the US did not get the diesel variant, although Canada has a few. Install a set of HD Eibach springs (in stock throughout New Jersey), Bilstein HD shocks, LT225/70 R16 Michelin LTX M/S tires and a full underbody skid plate. Remove the rear seat and do a dark window tint. You can sleep in the back, cruise in comfort, take nasty pothole hits, bad roads, snow, light mud and even drive out on the beach. You know it would be fun…. Editor’s Field Experience: Limited driving experience (though I have owned a few Mercedes products), but these vehicles are everywhere in the world, and for good reason. The 2004 Land Rover Discovery is the pinnacle of refinement, performance and reliability for the NAS Discovery. Having owned a 2001 and now owning a 1995, I have a half-decade of driving time in these trucks and I absolutely love them, but am cautious about recommending them as an overland vehicle. The reason for this is simple: when they work, they are an absolute joy, but the problem is, they don’t work often enough. The only vehicles to fail on me in the field have been my Discovery(s). So, given that, the visibility is wonderful, the driving position superb, the trail performance in stock form near the top of its class. It has excellent payload and a thoughtful layout. It also has a 4.6L motor and a locking center differential. If you love them and still want to buy one, its ok – I understand. Summary: Easy to fall in love with, not so easy to live with. Editor’s Field Experience: I currently own a 1995 and have owned a 2001. Nearly a decade of ownership in total, and the 1995 is one of my most favorite vehicles of all time, but I know that I am irrational about my affinity. Sometimes what you drive is not what you should recommend others drive too. . .
We did not include an AWD SUV on the list, but they can make a legitimate solution for RTW road travel. The Jeep Patriot has proven reliable and quite durable, and will even reward the owner with nearly 30mpg economy. They are available with a Trail Rated ‘badge’ package that includes skid plates, locking center differential, lower gearing, larger tires and more agressive traction control. They are surprisingly comfortable and fun to drive and a great overall value. Summary: Low cost of ownership and best-in-class dirt performance makes this Jeep a serious value. Editors Experience: I was the lead proof of performance driver for the Patriot launch, responsible for driving it up the back road to Crown King for testing– in the snow. Over a month of dirt testing with this platform. Why didn’t __________ make the list? Sorry, but there were only 10 slots and a few honorable mentions, and these represent a nice cross-section of capabilities and budgets. Don’t agree with my list? Give us a better one in the comments below or in the forum: Link!